REVIEW – I’ve been carrying a little red Leatherman Squirt multitool in my gear bag for several years but I’ve always wondered if I might like the Leatherman Micra more than the Squirt. I now have the answer to that question because I’ve been using a Micra for the last few weeks. Let’s take a look and find out. 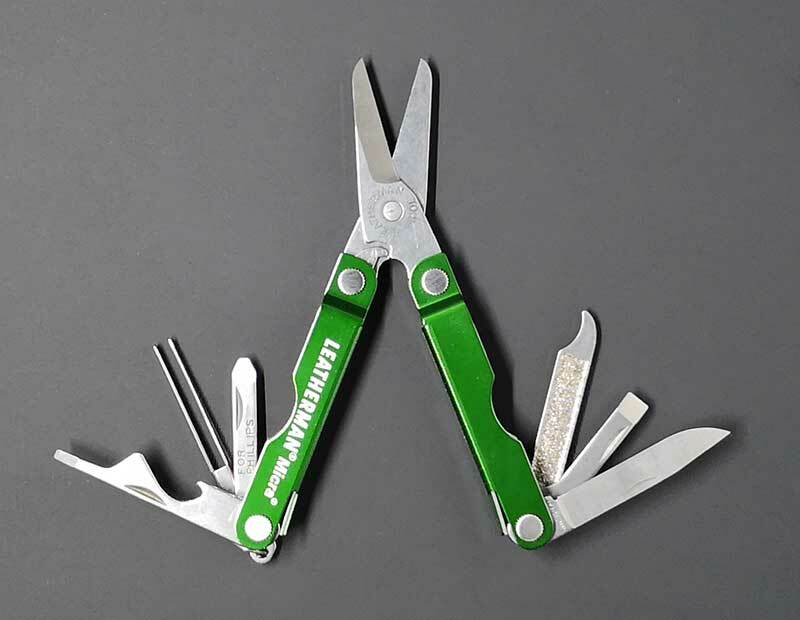 The Leatherman Micra is a keychain-sized multitool made of 420HC Stainless Steel in several colors that features spring-action scissors, and a variety of other tools. 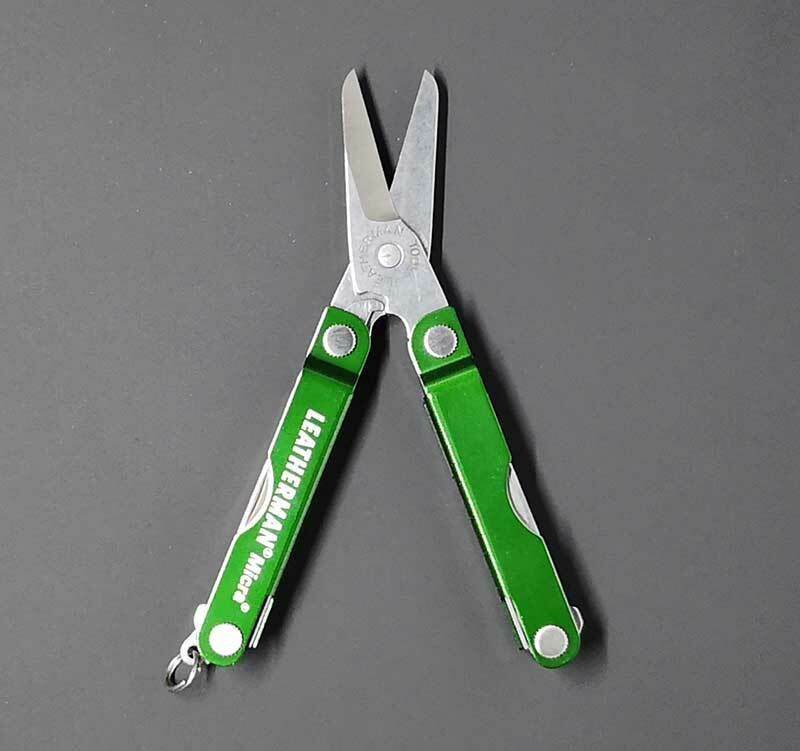 The Leatherman Micra is available in 7 colors that include plain stainless steel (silver) and the green version like you see above. 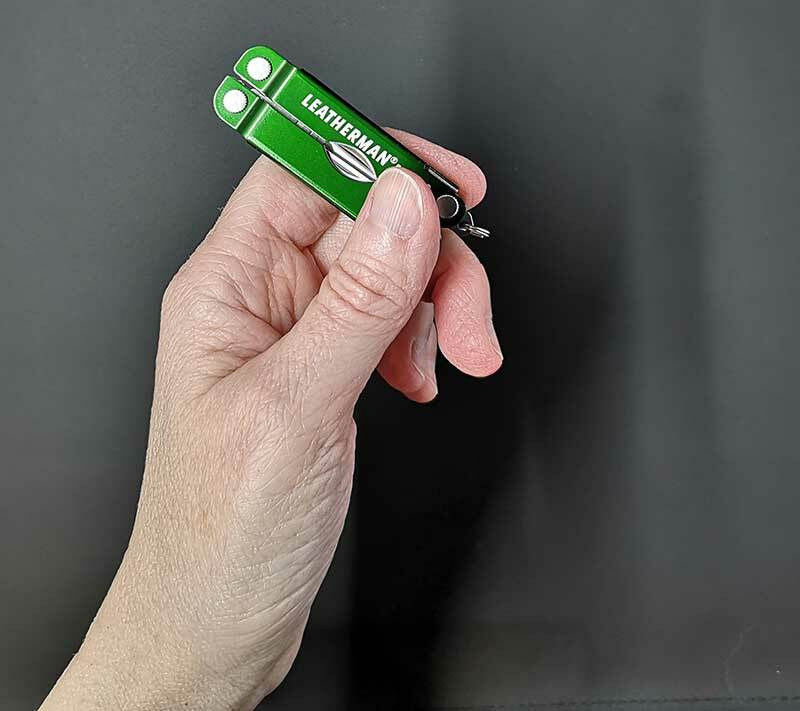 The Micra has the Leatherman Logo and model name painted on the side and a split ring hanging off the end to make it easy to add to your keychain. If you check out the sides of the Micra multitool, you can see the 4.7 inch (12.0 cm) ruler that is etched into the handles. To use the Micra, you need to unfold the handles. When you do so, the folded multitool turns into a pair of spring-assist scissors. Even for their small size, they work just fine for string, threads, paper, cardstock, etc. However, I would not want to use them to try to cut really heavy cardboard. Having used a Leatherman Squirt for so long, the first thing I noticed about the Micra is that you can’t get access to the knife without unfolding the handles first. That makes the Micra multitool less convenient to use compared to the Squirt. It’s also awkward to use the Micra knife due to the handle being in the way. The easiest way I found to use the knife is to only unfold one handle as shown in the first 2 images above. 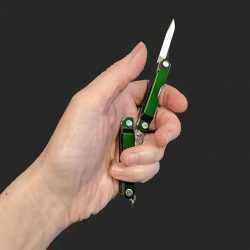 If you unfold both handles, you’ll have to deal with the open scissor blades which might cut the palm of your hand while you’re trying to use the knife. 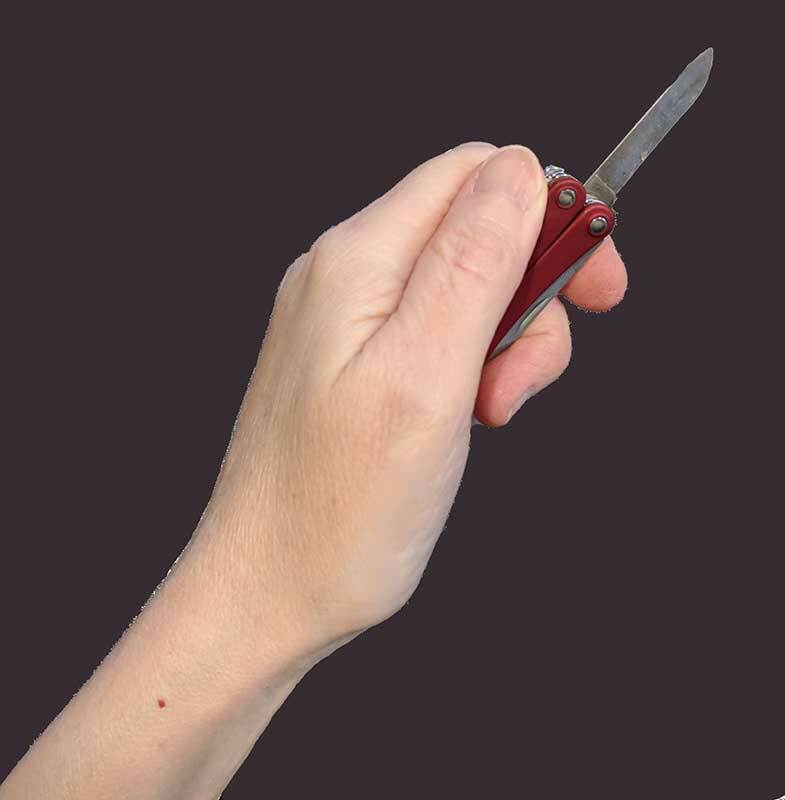 For comparison, here’s what it’s like to hold the Leatherman Squirt with the knife blade extended. It’s much easier to access and use. 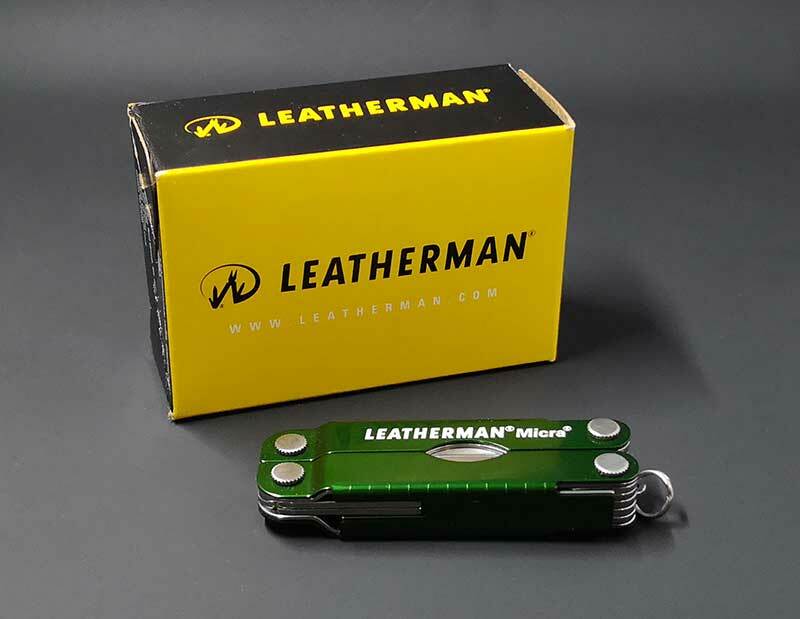 Like other Leatherman tools that I’ve used and reviewed in the past, the Leatherman Micra is well-made and offers a variety of functionality. But the fact that I have to unfold the handles to access the tools (especially the knife blade), it makes the convenience of the Micra multitool a step down from the Squirt. That said, the Squirt has pliers instead of scissors. The scissors on the Squirt are much smaller than the Micra scissors. If you think you need scissors more than pliers, that’s a reason to consider the Micra over the Squirt. For me, I’m sticking with my Leatherman Squirt. 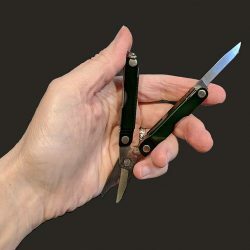 It’s also important to note that neither the Squirt or the Micra is TSA approved, so frequent travelers will need to make sure that they remember to put these multitools in their check-in luggage if they don’t want a TSA agent to confiscate it. 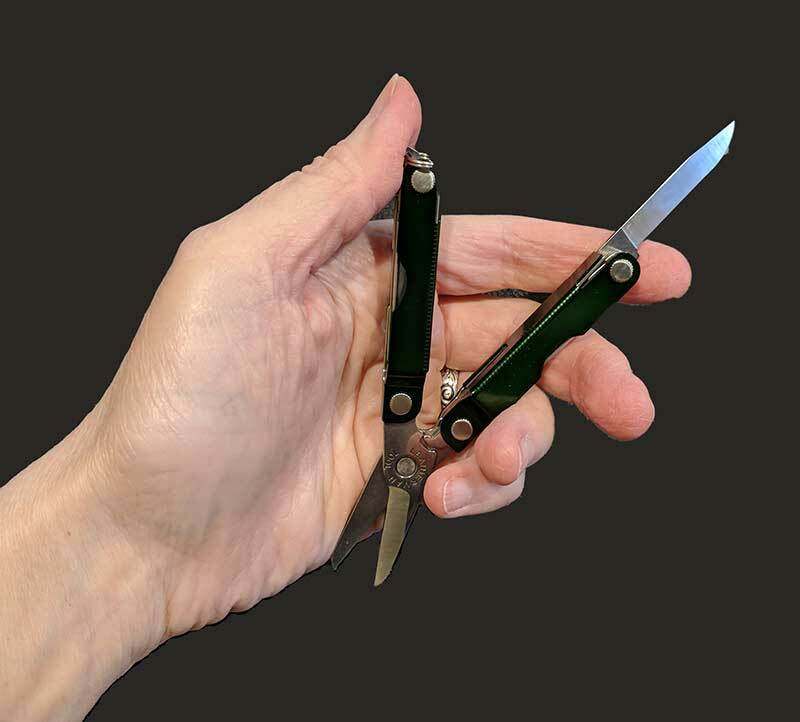 Source: The sample for this review was provided by Leatherman. Is the blade removable on the Style CS? No it is not removable (but neither waa the Micra as I recall). 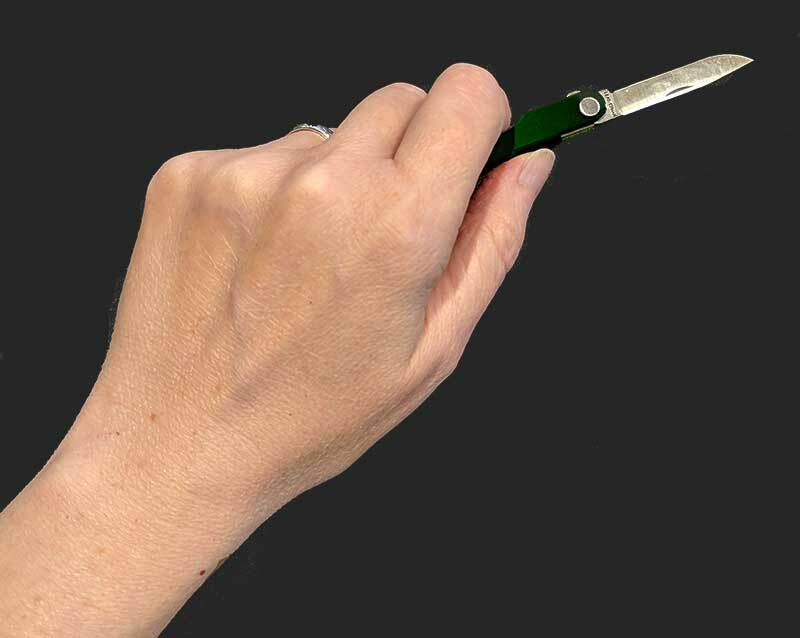 OK, the picture in the product page makes the blade look like it could possibly be removable. The tools on the style products can be removed since they use torx screws, but not easily, and they won’t function well with a tool removed. You can search the web and find people who have replaced the scissors on the style ps with a blade from the style cs. It can be done if you’re patient and have the right tools. Cool idea. Thanks for sharing! Without a blade, it’s useless to me. That’s pretty much what I use my Squirt for 90% of the time. True – but the blade is what the TSA has issues with, so to get TSA approval you have to remove it. There you go! I need to research the TSA rules. Are you allowed to have any type of blade at all on your person these days? You’re allowed a small scissors, under a certain length. I don’t think any open blade is allowed though. Let common sense prevail. On very busy travel days, there’s less scrutiny. I traveled for years with the micra attached to my car key ring. It was only on a lightly traveled day that they had me pull the keys and tell me I couldn’t board a flight. They offered to have a <$25 micro-tool shipped rather than confiscate it (as if I had time to do that and miss my flight). Honestly, the TSA do not have time to check which manufacturers and which tools are allowed or not on a flight. It's easier for them to just decide none of them are (and take the heat if they're wrong). And who's gonna win an argument in a TSA line (with 30 people behind you) over a $30 pocket knife? My recommendation is check it or don't carry it (unless you don't care to potentially have it confiscated). The Micra probably works like Leathernan’s larger tools (I carried a Wave for years). You unfold the tool, select the piece you need, whether knife or screwdriver or what, then close it back up with the blade sticking out. 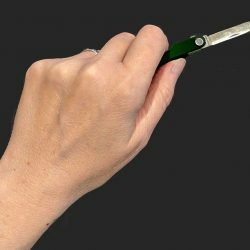 This makes the form factor more like what you’re used to with the Squirt, as well as making it so that the blade can’t accidentally close on your fingers. While I’d prefer a form factor more like the Micra, the lack of pliers is a deal breaker for me.